One year on, #LCT18 has just begun, and all parties can reflect on the highlights of revamping L'Oréal Colour Trophy’s online presence. L'Oréal Professionnel is synonymos with excellence in the world of haircare, inspiring trends and supporting salons worldwide since 1909 (yes, since 1909!). 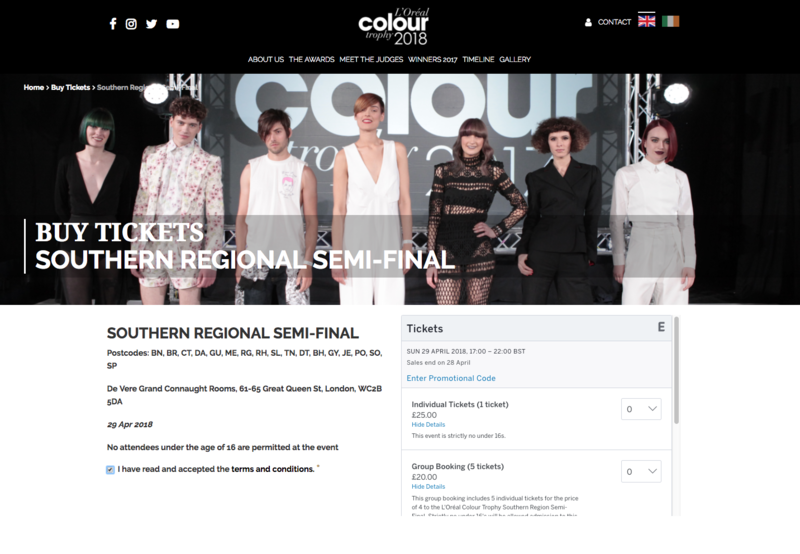 This is likely why their L’Oreal Colour Trophy competitions in the UK and Ireland have seized the title of of the world’s longest running live hairdressing competition, and attract the brightest hairdressing talents year on year. 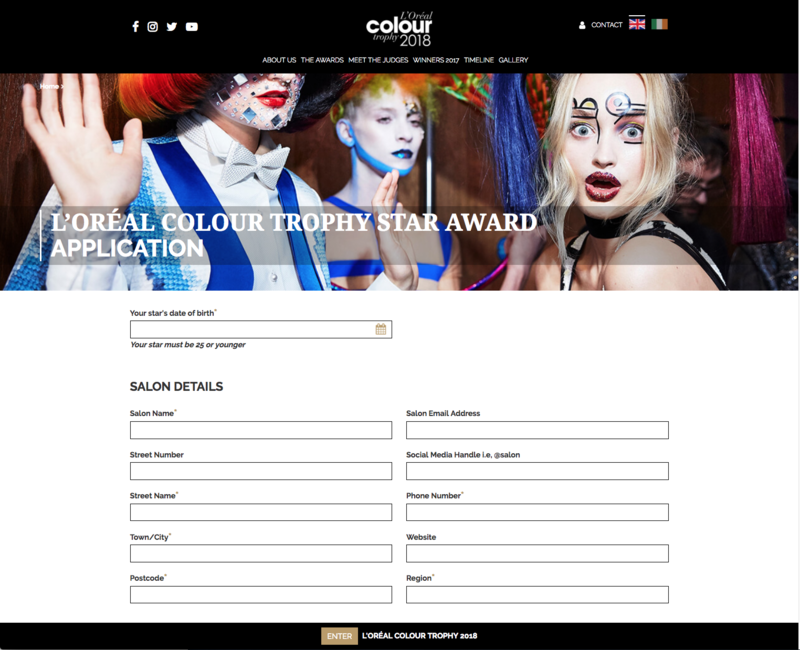 In December 2016, we began working with L'Oréal on bringing the Colour Trophy admission process fully online. Until this time in the competition’s 63 year history, entries were still being sent via the post which required a large amount of resource on behalf of the events team and the salons entering, and no longer reflected the modern, high-fashion nature of the competitions and events themselves. So, the team at Formulate along with L'Oréal Professionnel’s Events and Digital teams set about creating an application system which was intuitive, and also stylish. After several workshops with the Events team at L'Oréal to fully understand the requirements of the internal team and of salons, the design and build of one website for each competition got underway, before launching in December 2016 ready for #LCT17. One year on, #LCT18 has just begun, and all parties can reflect on the highlights of revamping L'Oréal Colour Trophy’s online presence. The new sites allowed users to return to a personal salon ‘dashboard’ and manage each of their applications with ease, with the ability to save your progress and return at any point up to the moment of submission. Clearly defined statuses on each of the applications allow busy salons to keep track of exactly what they still need to do to successfully submit their applications, with a ‘traffic light’ style system. The competitions celebrate the very latest hair trends, so unlike some other websites out there, it was especially important for the team to be able to reflect this change each year. The image-led design throughout allows for a ‘reskin’ in line with the Colour Trophy’s updated theme and the latest trends each year. 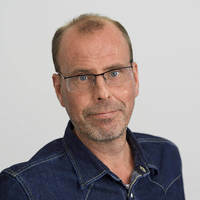 A custom-built Content Management System means that the Events team at L'Oréal can manage the majority of this process without any assistance for a more efficient workflow. This allows the team to update text and images across the site, but also manage applications, announce successful candidates throughout the various rounds and introduce judges. And, with the sensitive nature of these announcements, this CMS allows admin members to view a page and ensure the content is exactly as they need it before any other users or search engines. Another key feature is a custom integration with Eventbrite, that ties into one of the site’s most important and frequently visited pages - the Timeline. Users can simply select an event from the timeline and buy tickets using an Eventbrite window within the site, handled using Eventbrite IDs in the CMS. Having all of this in one place created a seamless user journey for Colour Trophy entrants and attendees. 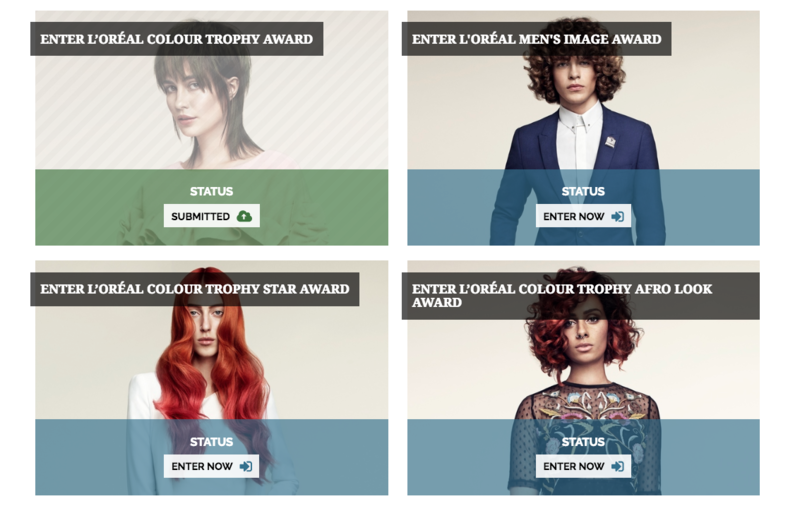 Entries for L'Oréal Colour Trophy opened again on Monday 8th January which marks a whole cycle since Formulate’s web solution was launched. For our team, it’s been a great project to work on and an exciting event to support throughout the year. We are thrilled to be part of this particular evolution for the for L'Oréal Colour Trophy as it continues to adapt and uphold the highest standards in haircare. 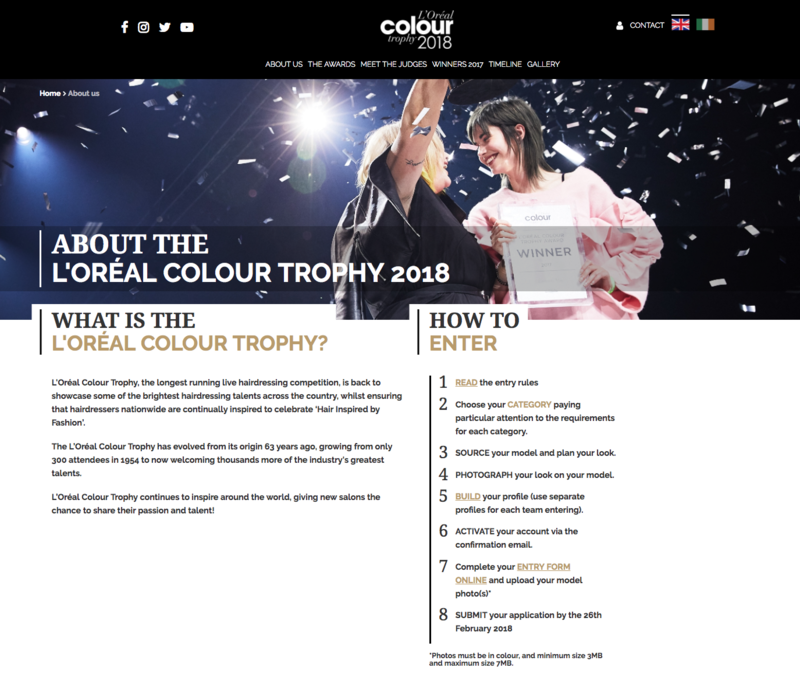 Visit the UK website, or the Ireland website to learn more about L'Oréal Colour Trophy and experience our solution to creating their online presence for yourself! The impact of GDPR on corporate websites, and where to start!